This book is a classic science fiction novel by French writer Jules Verne published in 1870. 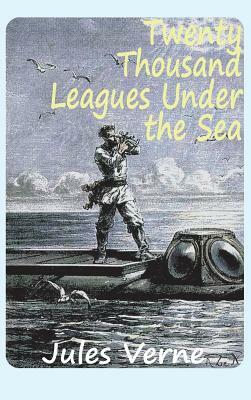 It tells the story of Captain Nemo and his submarine Nautilus, as seen from the perspective of Professor Pierre Aronnax. The original edition had no illustrations; the first illustrated edition was published by Hetzel with illustrations by Alphonse de Neuville and douard Riou. The title refers to the distance traveled while under the sea and not to a depth, as 20,000 leagues is over six times the diameter of Earth. The greatest depth mentioned in the book is four leagues. In the book, a league is equivalent to four kilometres.